Back by popular demand following the success of the MPC previously held at King's College London and the University of Manchester, the Mentoring Professionals Conference is an exclusive, two-day conference that brings together online and offline mentoring professionals from across the UK and Europe. Expert speakers will share the secrets to their success and everyone will have the opportunity to ask questions and contribute within an open guided discussion session where delegates set the agenda. Whether you are just starting out or looking to supercharge your online or offline mentoring programme, join us at the University of Roehampton in London, for a stimulating experience of knowledge sharing. You may even meet your own professional mentor! I found the event to be absolutely brilliant. The amount of learning achieved during the day; the excellent organisation; getting to look at future developments; speaking to people also working in small teams or on the same CRM as us. When the University of Roehampton moved the mentoring system online from a paper form, the Alumni Team merged with the Careers Team creating the Department of Alumni, Development and Careers at the same time. This presentation focuses on the successful merging of these teams, the launching and promotion of Roehampton Connect, and the benefits of a mentoring scheme working within a department that connects Alumni Relations and Student Services. Top tips on how to reduce time spent coordinating you mentoring programme, while increasing the impact of the programme externally and internally. Among other important issues, we will discuss how to plan your year, making the most our of your data and quick and easy interventions to increase engagement. Session 3 - Launching Plymouth Connect – it’s all about the plan! 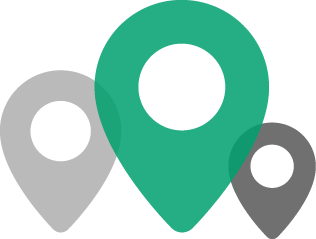 In November 2015, Plymouth University launched Plymouth Connect to enable alumni around the world to connect with current students and support their employability. 350 alumni joined the platform in the first month and membership has grown steadily to almost 3,000 graduates. This presentation focuses on the successful marketing plan which was developed by the team to launch the platform and highlights some of the challenges which we encountered and lessons which we learned along the way. Weather permitting, evening drinks in the lovely outdoor space of the university and a chance to get to know your fellow delegates. Reflect on the first day with a three course dinner with wine and elegant live background music. International alumni are a powerful group of brand ambassadors, too often left out of the loop of alumni engagement. After two years of planning, piloting and perfecting, Bath’s International Alumni Ambassador Scheme is on the verge of launching and this session will cover some of the lessons learned during that process. Participants will be encouraged to consider their own international graduate communities, and explore what opportunities might be available to engage them. They say first impressions are the most important. So how about the first 'hour' of mentoring? The first communications and contact, the first experience, the first pairing. How do you make sure your mentors and mentees know what to do? And what type of matching is best to use: manual matching or self-matching? Many institutions find it a challenge to engage enough students to match the number of mentors who have volunteered. Lina heads up the Partnership Development and Career Centre at Kaunas University, Lithuania. When she launched their alumni-student mentoring scheme they had the opposite problem - an OVER-subscription of students! How did this happen? What type of messaging did they use to inspire so many students to join and which channels were the most effective at what times of the year? Find out how developing an understanding of their mentoring ecosystem allowed their programme to be such a success. Trinity has recently undergone a transition from an intimate school-specific mentoring programme to a broader university-based one. In this session, John will reflect on the journey of change they took and why they did it, including all the valuable insights gained along the way. This session will showcase the latest developments at Aluminati including an update on the forthcoming Aluminate v7. The floor will then be open to questions and the sharing of ideas between Aluminati clients. Whilst an elective session, all are welcome. How is it possible for a mentoring relationship to go wrong? This interactive session explores how limitations in understanding can disrupt the effectiveness of the mentoring dyad, how our own human uniqueness can lead to distortion of meaning or intent and how even the very structure of mentoring arrangements can impede the process. Reviewing specific aspects of these toxic events, various solutions will be presented to either prevent or minimise the consequences. Utilising knowledge gained from experience on mentoring programmes together with research data, a best-practise mentoring model is introduced that offers maximum protection for schemes and their participants. In this action packed keynote, you will experience the Leadership 7, a framework Brad uses when mentoring CEOs from the world's leading companies. With it you will build your effectiveness to achieve your hopes and aspirations. Effective individuals win two victories in life: a Private Victory when they learn self-mastery and self-discipline, and a Public Victory when they build deep and enduring relationships with others. As they practice the Leadership 7, they move from being dependent on others to independence and finally to interdependence, where they reap the rewards of superb cooperation and collaboration. This hands-on session will share timeless principles allowing you to design a deliberate pathway to where you want to end up, attract the resources you need, and set yourself up for a successful and fulfilling journey. Daniel has over 15 years experience in the alumni relations sector. Since 2002, Daniel has worked with universities all over the world through this company Aluminati - founded to create effective online engagement tools to connect alumni with one another. He is also an active mentor himself. 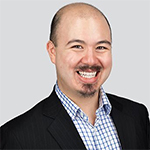 Brad is known for his room filling energy, infectious humour and proven insights. 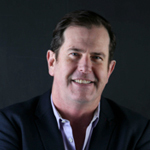 Brad is the author of ”Present Naked – How to present with sizzle and substance’ and is the three times winner of the OutPerformer of the Year award for speaking services from Vistage International – the Global forum for Chief Executive Officers. Having led the Covey Leadership Center in the USA, Brad is an experienced mentor who has coached Chief Executives and delivered transformations for companies such as Sony, Warner Brothers and L’Oreal. Brad provides a unique perspective derived from dual exposure to winning – winning in business and winning as an international athlete. He currently mentors 6 young new business owners who are marking their mark on the world. Jean is a University of Plymouth graduate, who after working in a variety of sectors including database marketing, returned to work at the University in 2011. Jean heads up a small team which makes successful collaboration a key part of her role. In 2015, feedback from alumni and work with the Careers and Employability Service combined to make a strong case for an online platform which did more than simply recreate Facebook or LinkedIn. Jean led a project to implement Plymouth Connect, the online platform for alumni, students and staff. The platform, which enables students and alumni to search for advice and support from fellow graduates, now has over 3,000 members. 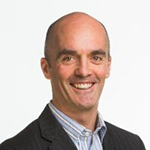 John Dillon has over 20 years of experience in technology and marketing sectors. Since joining Trinity Development & Alumni in 2008, as Alumni Director, he has overseen the growth of Trinity College’s engagement with its 100,000+ alumni at home and abroad. This has included all forms of communications, events and services for alumni and students as well as providing various opportunities for them to support Trinity and each other through networking, volunteering and donating. His remit includes managing the Trinity Gradlink mentoring programme. Sarah started working at Roehampton in 2012, focusing on event management and the organisation of the graduation ceremonies. With the establishment of the Department of Alumni Development in 2013, she was able to focus her efforts on a more robust Alumni Relations Programme for Roehampton. This work has continued to grow in the last two years with the expansion of the department to include the Careers Team. In her role as Alumni Relations Manager, Sarah oversees many projects including the online mentoring platform, Roehampton Connect. Maria has over 5 years of experience in volunteer management. Working alongside Boston and Harvard Universities, she has managed a program supporting refugees and immigrants in their transition to the country, and a mentoring programme for students from disadvantaged backgrounds. She single-handedly launched and grew the bespoke King's Connect mentoring platform - an engagement project now respected throughout KCL, bringing together over 1000 mentors globally. She developed the Alumni Volunteer Programme, managing nearly 5000 volunteers worldwide. She is also a certified mentoring trainer and a CBT trained coach. Alice has 10 years of experience working in universities within the U.S. and U.K. She has worked at Roehampton since June 2013 and transferred over to the Mentoring and Volunteering Team when Roehampton Connect was first introduced to the University. 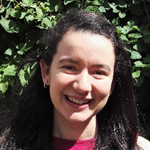 Alice was responsible for the launch of Roehampton Connect and currently promotes, runs, and maintains the platform. Two years ago, Careers and Alumni joined teams to create the Alumni, Development and Careers Department. Alice takes advantage of working with both the Alumni and Careers teams, staying well connected with students and graduates while promoting Roehampton Connect. 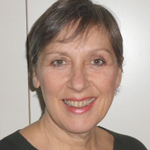 Eleanor has gained most of her higher education experience at Roehampton; for many years in marketing and latterly in alumni and development – setting up the department in 2013 and which she summarises as “a switch from recruitment marketing to loyalty marketing”. In the last two years she has brought the Careers function into the department and established a new placements team, citing the work of her colleagues in alumni and development as vital to the success of both these areas. Prior to Roehampton she worked in corporate communications in the computer games industry and in PR agencies in the North West. 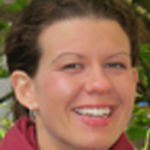 Lina Slavickaite is the Head of the Partnership Development and Career Centre of Kaunas University of Technology. She received her Master’s degree in Knowledge and Innovation Management at Kaunas University of Technology. Lina completed Continuing Education Program “Adult Learning Principles” at George Brown College in Toronto, Canada. She gained international experience by running and participating in projects in Canada, USA, United Kingdom, Turkey, etc. Currently Lina is working on partnership development to move business and higher education from transactional relationships to strategic partnerships: encourage the transfer and sharing of knowledge; create long-term partnerships and opportunities; drive innovation, entrepreneurship and creativity. Also, her current work at the Career and Education Centre is focused on students’ employability; career management and counselling; career monitoring; talent management; mentorship; collaboration with business and alumni network. 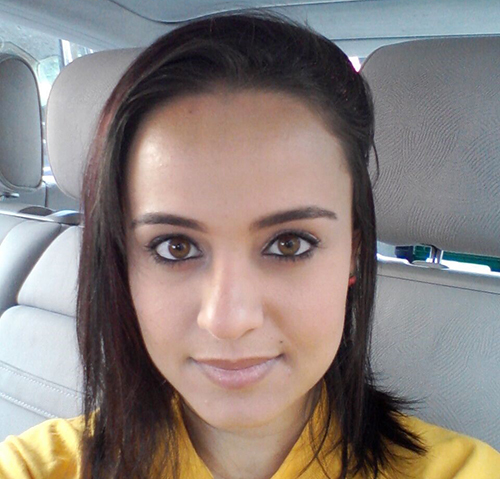 Lina is a freelance consultant in the field of personal development, youth inclusion. 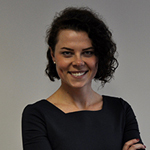 Molly Southwood has over ten years’ experience in the development and alumni relations sector. 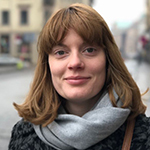 Since 2009 she has headed the engagement team at the University of Bath, with a remit which currently includes communications, events, volunteering, regular giving and development services. Her team delivers over 90 international events each year in the UK and across the world. In 2015 she oversaw the successful re-launch of the ‘Bath Connection’ e-networking platform and also leads on the University’s Gold Scholarship Alumni Mentor programme. A product and advocate of lifelong learning Dr Rhianon Washington has, over the past 10 years, engaged in the promotion, use and training of mentoring in the workplace. 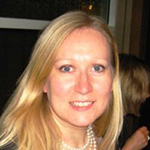 Currently affiliated with the University of Wales Trinity Saint David, she has previously been the scheme trainer for the North West Mentoring Scheme and has consulted on a variety of mentoring programmes in higher education. 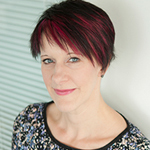 The phenomenon of toxic mentoring formed her doctoral research at Oxford Brookes University in 2013. How to deal with toxicity is explored in her book, The Mentor’s Companion, A Guide to Good Mentoring Practice, due to be published in April 2018. Please include a PO number in your message if you need to provide one for invoicing purposes. Please specify in your message if you would like one invoice to cover multiple delegates. This was a well organised and valuable event - thank you ! It was great to have a wide variety of institutions represented, with a varying degree of maturity in mentoring programmes with which to compare. Sharing best practice from the likes of Manchester and Sheffield was fascinating to learn from. There were valuable discussions on the table and at the dinner and post drinks; having time away from a structured conference to 'network' and continue discussions was most worthwhile. It was a really good and interesting programme. Some useful ideas sharing from colleagues which I am sure we will be implementing. Hope that there will be another one next year. Excellent opportunity for me, as a new mentoring professional, to learn about mentoring and the different forms it takes in other institutions. Great mix of people, well structured and organised and good topics covered. There was a great diversity of topics, very friendly delegates and plenty of networking opportunities. The conference organisers were fantastically communicative. The networking opportunities and the different experiences and point of views shared. The ability to hear from both alumni teams and careers teams and those who are just starting with mentoring and those who have been doing it for a while across different types of institutions. The chance to meet others facing the same challenges as us. A great way to come up with ideas of things we haven't yet considered. The opportunity to hear from other Universities about mentoring and what has worked for them. My first mentoring event, so the information available was of great value. The group that attended contributed so much relevant information.